In November 2014 during the ASEAN (Association of South East Asian Nation) summit in Myanmar, Indian Prime Minister announced the beginning of new era of relationship with the East Asian countries with the transformation of Look East Policy into the Act East Policy. The Look East Policy was started in the reign of PV Narsimha Rao in 1991 in the backdrop of end of cold war era and disintegration of erstwhile USSR. The aim of the policy was to get rid of the overdependence on west for the economic, political and security gains while diversifying the relations. Look East Policy also manifested in acknowledging the growing importance of the fastest growing (in that era) Southeast nations for the Indian interests. The transformation from Look East to Act East doesn’t show any change in the policy relating to the East Asia but it calls for further cementing the relations where India would proactively engage with ASEAN and other regional countries. The term ‘Act East’ was first popularized by Hillary Clinton, the US Secretary of State, in 2011 when she asked India to not just ‘look east but engage east and act east’. The Look East Policy deserves to be hailed as successful as it helped in diversifying the Indian export and import basket and Asian countries gradually became the most important trading partner. The share of Asian countries in international trade with India has grown from 40.2% in 2001-02 to 51.6% in 2011-12 while on the other hand, share of European countries consistently declined from 24.8 % to 19 %. The US, which was the largest trading partner of India in 2001-02 also slipped to the third rank behind UAE and China. Singapore and Indonesia, who are the most important members of ASEAN, are sixth and ninth largest trading partners of India respectively. 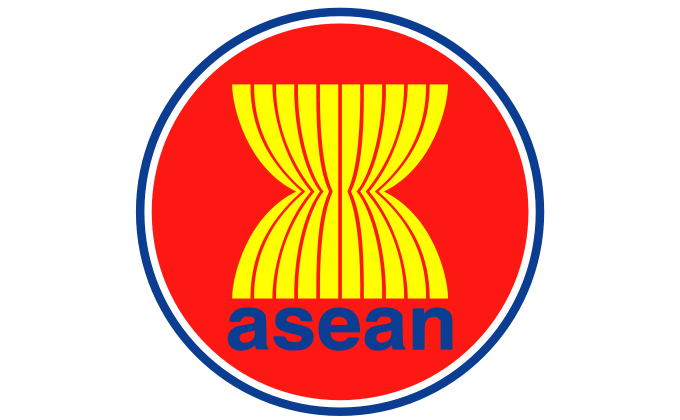 The trade between India-ASEAN has crossed USD 80 billion and is expected to cross USD 100 billion in 2015. The signing of a Free Trade Area in goods in 2009 was a game-changer of sorts, and now the two sides are looking to sign the India-ASEAN Free Trade Agreement on Services and Investment. The success of Look East has now prompted India to Act East and in order to materialize this vision, Indian PM had visited Japan, South Korea, Australia and ASEAN during the first year of his term. The key goals are to deepen economic integration as well as to act as a counter force to China. The Act East would go beyond merely looking at trade and investment and would include establishing special purpose vehicle for project financing, building information highways, and inviting ASEAN countries to participate in India’s ongoing economic transformation as well as cementing cultural ties. During his visit to Myanmar, the only ASEAN member with whom India shares border, Indian PM and his Myanmar’s counterpart reviewed the key ongoing joint infrastructure projects such as the India-Myanmar-Thailand trilateral highway and the Kaladan transport project. As India is poised to once again witness the phase of high economic growth, the Act East Policy can play a vital role in transforming India into the growth engine of Asia. The investment required to achieve sustained high economic growth could not be acquired by mopping up the domestic savings. We need to bridge the domestic saving and required investment gap by welcoming the foreign investment. The East Asian countries like ASEAN, Japan, and South Korea are looking for the avenues to invest their surplus capital and Act East policy would bring India to the forefront as a lucrative investment destination for these countries. Already, many Japanese and Singaporean companies have started showing their interest in the big projects like Smart Cities and bullet trains in India which are conceived to transform the domestic infrastructure which is vital for attracting investment. However, the foreign investment in a country is dependent on many conditions and diplomatic attempts like Act East Policy is one of them. Initiatives like ‘Make in India’ or Indian marketing abroad may attract investors initially but ultimately, the proposals would turn into reality only if domestic policy environment and infrastructure is conducive for the investment and they are assured of good returns. Therefore, in order to make Act East Policy a real game changer in opening the flood gates of foreign investment in India, domestic reforms in the field of fiscal arrangements, labour reforms, energy reforms etc. are important prerequisites.